The inconvenient truth about The Upside is that its misguided casting is based in a biased business decision, not creative expression. Many disabled people disagree. Cranston, and many others, scoff at the criticism, saying that movies are a commercial venture and that, moreover, disability is just another fictional experience to portray. Actors act, after all…unless the actor has a visible disability, in which case their talent could never sway an audience — or a producer. Muddling these arguments together is a mistake. The first is about business practices and the second is about creative expression. For actors, creative expression requires industry access — and that’s why casting norms need to change before debates about representation and creative expression can be anything but theoretical. If the industry is going to limit nearly all physically disabled actors to roles defined by physical disability, non disabled actors shouldn’t be surprised when there’s anger at seeing those roles lost to actors who are not physically disabled. If only 2% of roles are disabled characters, to begin with, and 95% are played by actors without disabilities, that’s a systemic employment barrier. Creative expression has different bases. Some of us experience disability as an event that affects our lives and some experience it as a component of our identity. Many of us experience both. In creating disability narratives, this difference positions disability either as an event that drives the plot forward or as a component of identity that contributes to a character. Both are valid and both can lead to high- or low-quality work. That difference is not going to be resolved. It’s not even a problem to be solved. In terms of acting, I would say it’s even a mistake right now to be drawn into too much arguing about the specifics of who’s “allowed” to play what roles. The problem is that actors with visible disabilities are shut out of casting and that prevents careers — and clout. One reason is that it too easily reduces us to diagnoses. Another it that it risks inhibiting imagination and empathy. I have muscular dystrophy and use a wheelchair now. 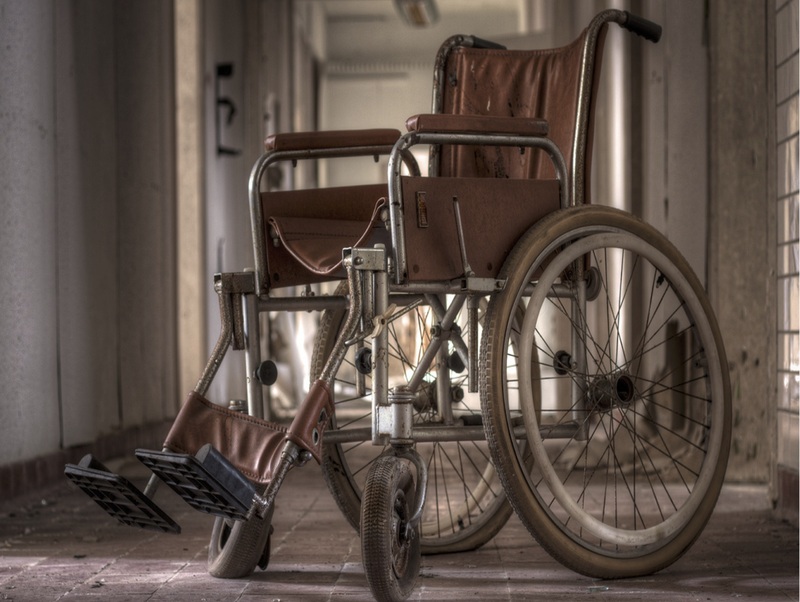 I spent my childhood misdiagnosed with cerebral palsy. I’ve had agitated depression. And I swear to god I don’t know if I’m sweating right now from frustration or menopause. I have also had colds, pneumonia, and tummy-aches. What types of disabilities are “appropriate” for me to play? Should only people like me, who grew up with a disability, play roles of characters who had disabilities in childhood? And where does this leave the vast numbers of actors with invisible disabilities who have succeeded in passing as non disabled? It’s an interesting discussion — what constitutes “enough” experience — but it’s currently entangled with the real issue to be confronted: biased business practices. Trying to avoid thThe argument that a non disabled actor — in this case, Bryan Cranston — is simply the superior artist doesn’t hold up. What are all of these roles that visibly disabled actors have performed in such an inferior fashion? Spoiler alert: They don’t exist so you have no actual comparison. Just an assumption that visibly disabled actors wouldn’t be as good or better. And, in terms of artistry, here’s a question: To what degree does the non disabled actor depend upon a prop to get the acting job done? Because when it comes to physical disability, I’m not sure audiences would buy him as a wheelchair-user if he weren’t sitting in a wheelchair. Props are important, yes, but they’re not a substitute for an actor. The problem is that actors with visible disabilities are shut out of casting and that prevents careers — and clout. That’s the problem in the business of show. That’s why Cranston’s casting is being called out. This is why losing one more exceedingly rare lead role — a wheelchair-using character — is so infuriating. Using the tired “Because BUSINESS” is a sloppy excuse for systemic bias that produces abysmal hiring rates. Casting is currently a business that effectively places its every office on the second floor of an elevator-less building and then says no wheelchair-using actors showed up so they just don’t want it enough, etc., etc.. Visibly disabled actors are not considered “appropriate” for casting in roles where there’s no mention of disability. The truth is that, had he been a visibly disabled actor, casting statistics show how unlikely it is that Cranston would have been cast in the many, many roles that, together, have built his career and now provide his clout. If the industry is going to limit nearly all physically disabled actors to roles defined by physical disability, non disabled actors shouldn’t be surprised when there’s anger at seeing those roles lost to actors who are not physically disabled. If only 2% of roles are disabled characters, to begin with, and 95% are played by actors without disabilities, that’s a systemic employment barrier. Starvation seldom breeds generosity. This is why losing one more exceedingly rare lead role — a wheelchair-using character — is so infuriating. Using the tired “Because BUSINESS” is a sloppy excuse for systemic bias that produces abysmal hiring rates. Casting is currently a business that effectively places its every office on the second floor of an elevator-less building and then says no wheelchair-using actors showed up so they just don’t want it enough, etc., etc.. When an actor like Bryan Cranston finally has to actually compete with physically disabled actors who are in his casting echelon, then we can have that thoughtful discussion about balancing representation and artistic expression. Until then, it’s just another business getting away with unfair practices. And not even very creatively. And Now a Word From the FuckAbilityTM Research Council, HEY! YOU! MEDIA! ← Subvert the Dominant Paradigm of Disability/Charity By Letting Me Match Your Monthly Gift for Those Meddling Advocates at DREDF! Thank you – appreciate your excellent article!